Pencildancers: We're Not Blended-We're Pureed: A survivor's guide to Blended Families is launched! 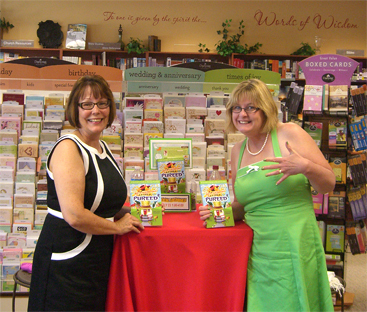 We're Not Blended-We're Pureed: A survivor's guide to Blended Families is launched! The day finally arrived! 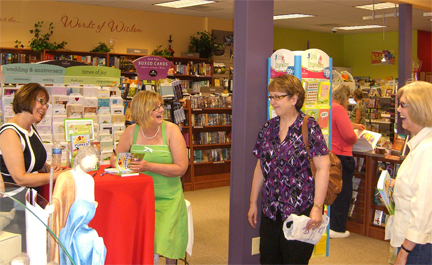 Words of Wisdom in Swansea, Illinois hosted our book launch. 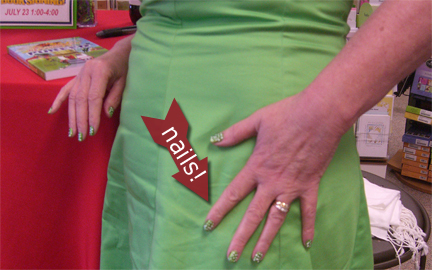 I'm waving around my wonderful green nails and I'm not quite sure, but is my co-author, Marty Lintvedt clutching the tablecloth? 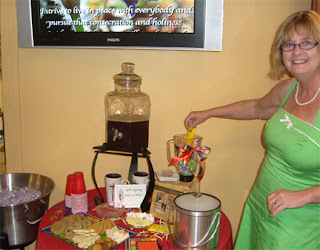 Brenda, at Words of Wisdom along with Nancy put together this amazing treat and give away station. 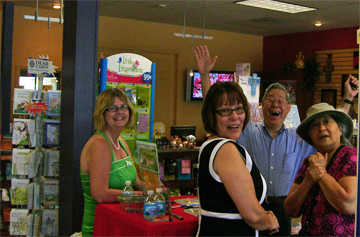 Marty and I love that they used a blender to collect the entry forms. We shouldn't have been worried, soon our fans had us laughing. 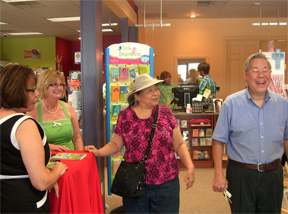 A lot of delightful people stopped in to support us. Yep, those are the green nails with white dots. So me! Next time I'm adding sparkles. Wished I was there! So glad you had fun.